Today’s inaugural Goffs UK December Sale at Doncaster capped off a successful 2018 sales calendar with 90 Horses-in-Training and Flat Foals, Yearlings and Mares being sold to an international audience. The opening Horses-in-Training session provided today’s top lot with Richard Fahey’s Northwest Frontier (Lot 87), a four-time winning son of Galileo, selling to Craig Buckingham for £36,000. He was one of two Horses-in-Training to sell for £30,000 or more with Mick Appleby Racing’s 2018 Gr.3 Polar Cup winner Hakam (Lot 59) selling to Rennstall Recke for £30,000. The Mare and Foal sessions saw six horses sell for £20,000 or more with Harefield Cottage Stud providing the two top lots, a New Bay filly (Lot 162) which sold to Five Star Bloodstock for £32,000 and a Twilight Son colt (Lot 182) which was purchased by Buckley Bloodstock for £29,000. 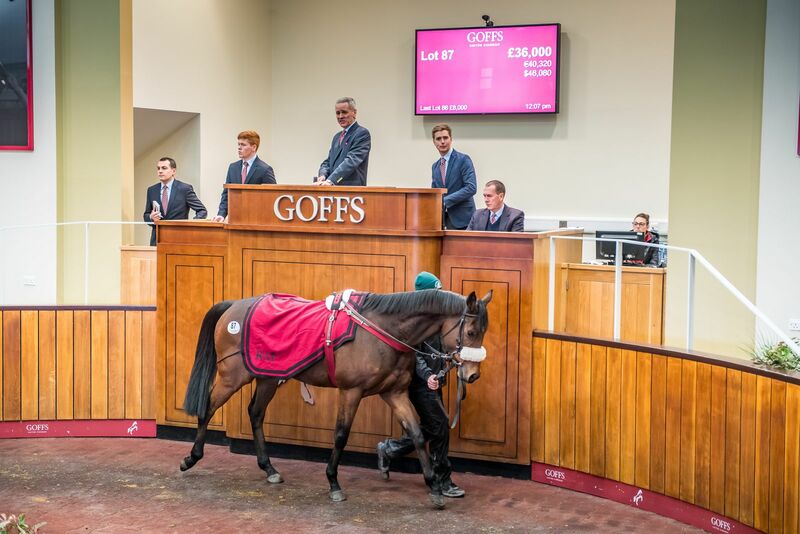 “The sale’s opening session of Horses-in-Training saw strong demand with a clearance rate of over 70% and some good prices, however, that demand did not translate into the latter mare and foal sessions where trade at this level of the market was reflective of that seen at a variety of locations this year. “The Mare and Foal sessions were the result of vendors asking for another avenue to offer their stock and we actively sought a date in the sale calendar to provide another outlet. As is the current trend, those that held appeal did sell well which is encouraging for the future of this sale.